Help us welcome these new teachers to Prairie! Nia is our part time math specialist. 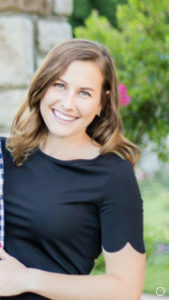 Nia previously taught 3rd and 5th grades at Prairie and has always had a passion for teaching math. She left us this past year for a part-time position as a personal fitness teacher at Indian Woods Middle School. She missed us so much that she jumped at the chance to apply for this position! Shelby is new as a 4th grade teacher. She too, missed us so much that she jumped at the chance to return to Prairie. 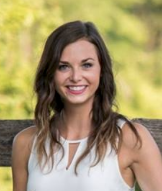 Shelby completed her student teaching with Jennie Reck in 4th grade a couple of years ago and has since taught 3rd grade at Apache and preschool at Lakeview Village Child Development Center. Molly is joining our 5th grade team. 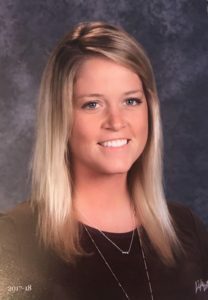 Molly graduated from Pitt State in December and substituted throughout the district last semester. Her student teaching supervisor said she “is fearless when using technology” and welcomes a challenge. She also stated Molly went above and beyond to make each student feel special in her classroom. collaborating with students, teachers and parents to maximize student growth.